With the extensive range of bird feeders on the market today, finding which feeder is best suited to use in your bird room can often be a case of trial and error…unless you have had the pleasure of coming across the Mangiatoia TOP4 made by S.T.A Soluzioni. This 4 slot gravity feeder is a perfect example of the kind of innovation and practicality that puts S.T.A Soluzioni one step ahead of their competitors. 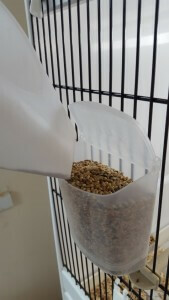 Whether you are new to bird keeping, or whether you are in the market for better bird feeder than you are currently using, here are 10 great reasons why you should consider S.T.A soluzioni’s Mangiatoia TOP4 gravity feeder over the traditional standard seed hoppers as well as other cage feeders. 1. 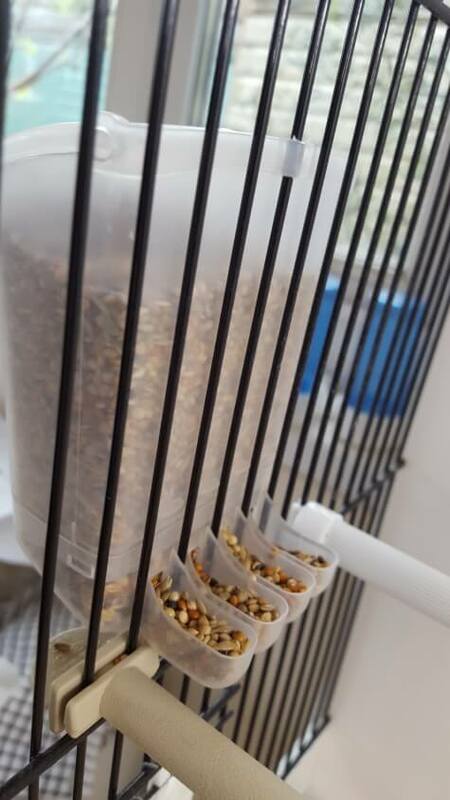 Security – You don’t have to put your hands inside the bird cage to clean or top up the feeder with seed. This creates a more secure environment for the birds that scare easily, which is especially important when you are attempting to breed them. 2. 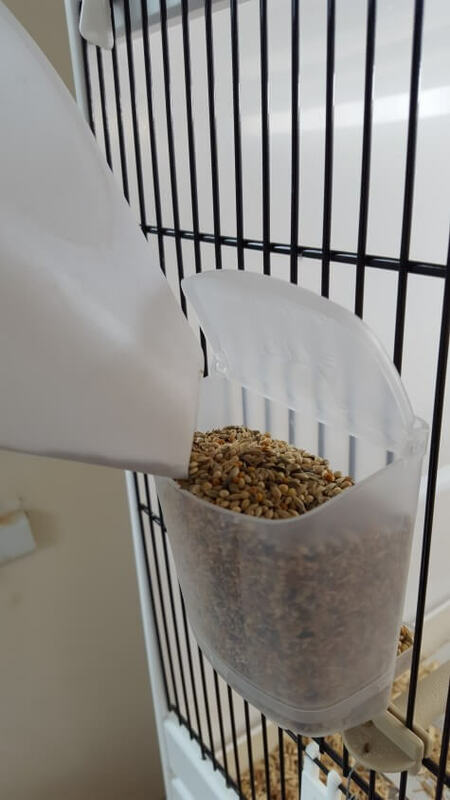 Time Saving – The feeder clips on to the outside of the cage making topping up your bird seed easier than ever, simply lift up the lid and pour fresh seed into the container. 3. 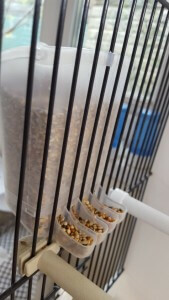 Effective – 95% of the feeder is positioned outside of the cage, only the feeding slots extend inside the cage. This makes it nearly impossible for bird droppings to stain the feeder. 4. Efficient – Because of the feeders gravity based design, the seed will always make its way to the feeder’s slots and be eaten by the birds. This eliminates the possibility for the seed to become old and stagnant. 5. 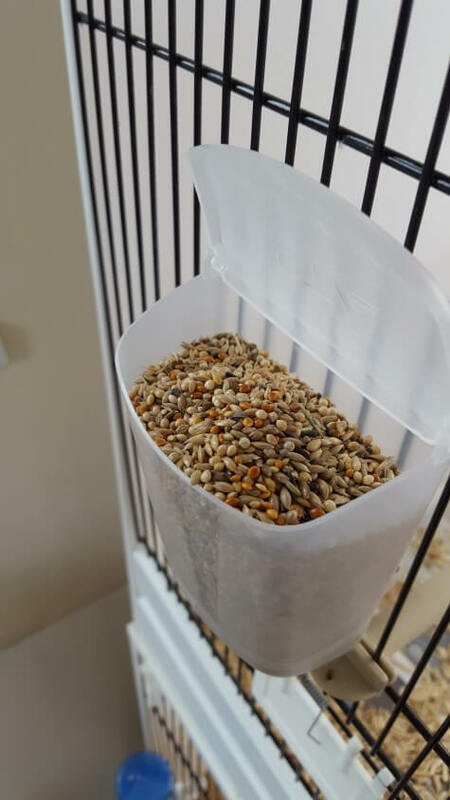 Transparent – The clear plastic colour of this feeder allows you to see the amount of seed that is left in the container. Judging when it’s time to top up your seed has never been easier. 6. 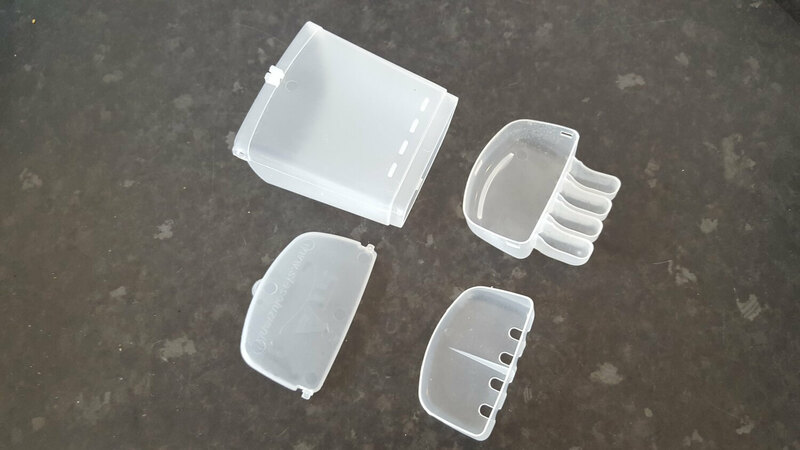 Hygienic – The Mangiatoia TOP4 is easy to disassemble into 4 separate pieces making it easy to soak and thoroughly clean before re-use. The feeder is easy to take a part for cleaning purposes and just as easily reassembled. 7. Contamination Free – The seed inside the Mangiatoia TOP4 is encased inside a container. With the lid closed the seed is kept safe from any contaminating sources such as flying insects, airborne allergens, dust and any dirt containing bacteria. 8. Long Lasting – The Mangiatoia TOP4 gravity feeder is made of a tough durable plastic that can withstand continuous use over an extended period of time. This feeder has a longer life span than many other feeders which are made from less durable materials. 9. Cost Effective – For this 4 slot gravity feeder you can expect to pay anything from only £1.99 -£2.50 making it one of the cheapest gravity feeders available on the market. 10. Safe for Birds – Perhaps the most important factor. Not only is the feeder hygienic to use but there are no dangerous points or sharp edges that can harm your birds. Your birds will also quickly learn how to use and find food from the Mangiatoia TOP4 feeder, so the danger of slow to learn birds not being able to find food is eliminated. Well there you have it. 10 great reasons why you should be using the Mangiatoia TOP4 feeder in your bird rooms and breeding cages. And as you can guess, I am a fond user of these feeders in my own Gouldian finch breeding room. 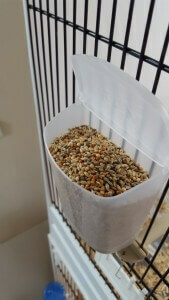 I can highly recommend these feeders from my own personal experience as a breeder. If you have smaller finches or even keep only pairs of birds in your cages then you might also consider the Mangiatoia TOP3 feeder. This feeder is a smaller version of the Mangiatoia TOP4 feeder and will hold 100g of seed instead of the 200g that the Top4 holds. Whichever feeder you decide to use, they will both do the exact job they are designed for… and more. Look very nice and very capable and easy to use especially if my wife who is very wary of loosing any birds is asked to feed birds, would be interested in the smaller ones for double breeders, also any prices for bulk buys, and single buys, who in UK stocks them please. Can i get this feeder in Pakistan?